Used your phone on the way to work today? Using your phone at the wheel is one of those controversial, very current and dangerous issues. The government has pledged to make it as unacceptable as drink driving, so we’re here to help make things clear. Following the media attention the government has taken drastic action to change the laws. On top of this the pressure from motoring groups and individual lobbyists has meant that you really need to know exactly what you can, and can’t do. We will outline the law, the most common offenders, and of course the punishments. So what are the laws? Using a handheld device whilst driving is illegal. In 2003 the first laws were implemented, however from 2007 you could receive three penalty points and a fine to accompany it. First £60 then increasing to £100. Earlier this year that penalty doubled. Get caught on the phone now and risk six points and a £200 fine, a hefty risk to take. Many motorists however are still flaunting the law and seeing drivers on the phone is still a common occurrence. It is still possible that if you offend you could be offered an awareness course, there are lots of different qualifying restrictions for these courses so it’s no guarantee but when given the option two in three drivers opt for the education rather than the points. So what are the hands free laws? If your phone is fully hands free you can use it, that means fully though, no picking it up or touching it in any way at all. All devices have to be set up before driving. It’s worth noting though that if the police feel your distracted by your phone, in any way, even if you are hands free then that’s still an offence. If you want to use the latest app to give you directions then the same rules apply, you can’t hold, adjust or touch the phone. It needs to be secured in a safe and easily visible place. Touching it is still considered a distraction. So when can you use the phone? Basically you need to be still, with the engine off. Being in traffic, at the lights, waiting, and other similar situations doesn’t give you the right to pick up the phone. There is a proviso around making emergency calls but only if you’re unable to stop. 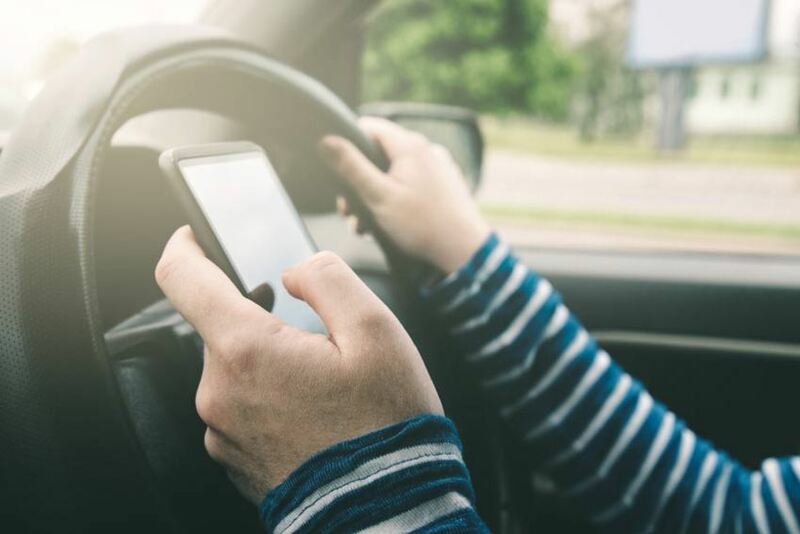 In all other scenarios it doesn’t matter if you’re moving or not, if the engine is running and your parked on the road then you need to make sure the phone is well out of your line of sight, or away from your hands. In a staggering review by the RAC 47% of drivers thought it was ok to check texts and social media whilst stopped in traffic! 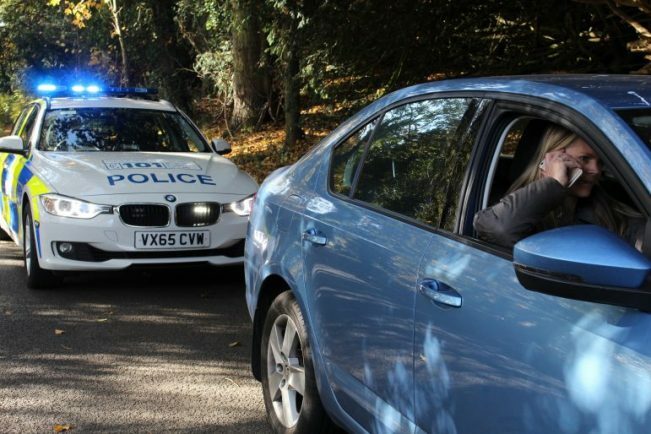 Using a hands free kit is still legal, although your local Police still have the rights to penalise you for being either out of control, or distracted in their opinion. So what’s the government’s response on why they made the changes? The transport Secretary Chris Grayling said that their penalty increase was a good deterrent and that it was what’s needed. In 2015 22 people died on the roads and 99 were seriously injured as a result of accidents where someone using a handheld device was involved. Can I lose my licence if I don’t adhere to these laws? Yes, and to add to that; the changes effectively mean that if a driver who is within the first two years of passing their test gets caught then they will lose their licence. During the first 24 months of passing your driving test you have only 6 penalty points opposed to the 12 that are available throughout the remainder of your driving career. So even then just two offences clocked up will disqualify you. On top of this if the police feel that they come across a particularly extreme example of breaking this law then they have the right to take the driver to court and a maximum fine of £2000 can be awarded. On top of this disqualification is a real option. If you’re involved in an accident while using a device then the penalties are serious too. As an example its being considered that death by careless or dangerous driving will have its penalty increased. Currently 14 years potentially life imprisonment. A two-year driving ban is also part of the punishment. Despite all of this drivers in the UK are still using handheld devices as much as ever. One in five motorists admits checking social media in traffic whilst an incredible 50% make calls when in traffic. 14% take photos and video, 20% write emails and 6% regularly use their device!